McPhaul Bridge in Yuma, Arizona. 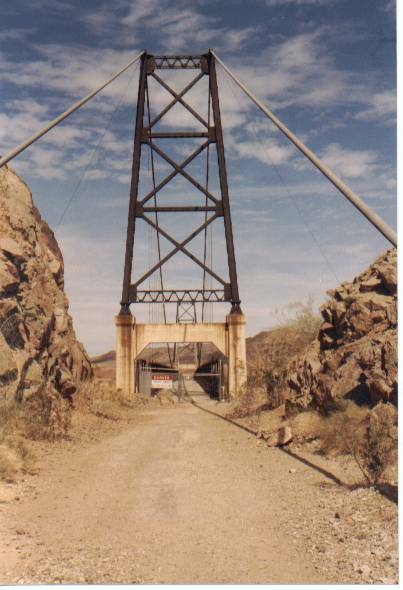 This bridge is huge, and it goes over the Gila River, which is barely there anymore. It looks an awful lot like the Golden Gate Bridge when you get on it though.